Are you the little boat in the big sea? Have you ever been in-the-flow? Motivational people: Gandalf in LOTR, Lao Tsu, Zhuangzi, Kramer in Seinfeld (for his Wu Wei way of life), Eckhart Tolle (for being the Watcher). In episode 001 of the Inspired Action Podcast, we begin by creating a framework for this motivational podcast by introducing you to a number of Inspired Action concepts. The only prerequisite to joining us on this alchemical journey is a desire for change and a transformational mindset. 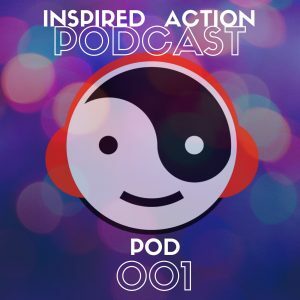 The goal of this podcast is to help you learn to master your own life. We will talk about how to “Course the Wind” on the sea of life.